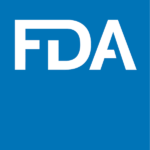 Amiodarone is the only drug in modern FDA history, to be approved for use in the United States without undergoing any of the required randomized, clinical studies to show a drug is safe and effective before it is approved. That is exactly what occurred with Amiodarone when the FDA granted Wyeth Pharmaceuticals approval to market and sell Cordarone® (Amiodarone hydrochloride) in the United States before performing any clinical trials showing it was safe. Now, there was a reason for this approval and the FDA approved the drug only for use as a drug of “last resort” for patients suffering from recurrent, life-threatening ventricular fibrillation (“V-Fib”) for whom all other treatment options had failed. In essence, there was nothing to lose for such patients who faced a likely death without some treatment to control V-fib. 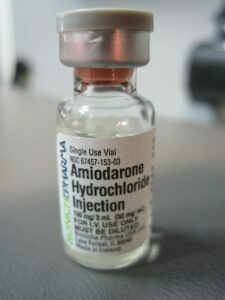 Despite repeated requests from the FDA to perform the randomized clinical trials, especially if the manufacturers intended to use Amiodarone for the treatment of other, less-serious arrhythmias such as atrial fibrillation (“A-fib”), the manufacturers of Amiodarone never carried out these trials. As a result, the FDA has never approved the use of Amiodarone for anything other than a treatment of last resort for persons with life-threatening V-fib. Then how did Amiodarone come to be the most commonly prescribed treatment for A-fib, which is far less dangerous but far more common arrhythmia than V-fib? It was done through the dark and secretive process of off-label promotion. It is not uncommon for a drug developed for one purpose to be found effective in the treatment of another condition. It is for this reason, that it is not improper or illegal for physicians to prescribe a drug for an unapproved use (“off-label”). However, it is unlawful for a drug manufacturer to promote a drug for an unapproved use. The drug industry makes tens of billions of dollars each year from doctors prescribing drugs off-label, making it too tempting for drug companies to avoid promoting drugs for off-label purposes. But in an effort to avoid FDA scrutiny, drug companies promote drugs off-label in covert and duplicitous ways. The most common method is to use third-parties, either by using physicians paid by the drug companies to speak to other physicians at professional association meetings and conferences, or to author journal articles touting a drug for an off-label treatment. Drug companies compensate physicians in other ways to tout a drug for off-label purposes, including “funding” research by these physicians. There are also a large number of marketing companies that are hired to promote drugs for off-label purposes. Because of the enormous potential profits, drug companies are not even discouraged from improper off-label promotion by the billions of dollars in fines levied against drug companies over the past ten years. Put simply, drug companies see these fines as just a cost of doing business.